First, it is plainly a labor of love. Rede discloses that he lost both parents in infancy and felt a later spiritual connection with them; this interest, and the study and reflection pursuant to it, formed the earnest foundation of the book. Second, a generous, diverse and interesting selection of quotes from earlier literature is supplied. Third, the material was first delivered as a series of lectures; this often has, as here, the effect of enhancing the content, reasoning, and organization of a work. Rede consistently appeals to the instincts and intuitions of the readers, diplomatically sidestepping and deflecting certain historical contentions that have sometimes surrounded the topic. Though an Episcopalian cleric, Rede takes a non-denominational perspective. An interesting detail from the author’s life is that, at age 3, he sat on the knee of President Lincoln and was entertained with stories immediately preceding to the latter’s delivery of the Gettysburg Address. 1. What is the Communion of Saints? 2. Is there a Life after Death? 3.Where are the Souls of Departed Saints? 4. Do the Saints departed Live a Conscious Life? 5. What is the Relationship of Departed Saints to us? 6. What is our Relationship to Departed Saints? 7. What is the Relationship of all Saints to God? As seen, the book is structured in the form of questions which, the author candidly observes, are those which people naturally wonder about. Below we excerpt the principle questions of each chapter, and the author’s conclusions concerning them. To whom can we properly apply the title of “saints”? 3. Where are the Souls of Departed Saints? Rede affirms the traditional teaching that souls must await the Last Judgment at the end of the world before reaching a final reward with God in heaven. This period(?) between death and the Last Judgement is termed the intermediate state. For the virtuous, it is envisaged as a kind of Paradise, more a ‘school for souls’ than a place of punishment. Supporting this view, Rede cites the words of Jesus on the cross to the penitent thief: Verily I say unto thee, To day shalt thou be with me in paradise. (Luke 23:43) Rede draws particular attention to the words today, which implies something immanent, not delayed until after the Last Judgment; and with me, which suggests a continuing connection or relationship of the soul to Jesus in this paradisiacal state. The possibility that souls of the unjust go to another place, and undergo a purgatorial purification, is also considered. Do they [departed souls] go at once to their final abode? Is there an intermediate state in which the spirit lives and waits the coming of God’s own good time ? Where is their [just souls’] abode, and what their life between the hour of death and the judgment-day? The conclusions to be drawn from this parable [the rich man and Lazarus]; seem to me to be partly these: that the life of the soul goes on after death in some place or state provided by God for disembodied souls; that this has two divisions or states of life widely separated from each other, at least in the tenor of their existence. In one of them the spirits of the saints (represented by Lazarus) enjoy rest, refreshment, and companionship. In the other, those who have squandered their lives and hardened their hearts to the extent of final impenitence, await with apprehension the just and final judgment of their God. [pp. 59 – 60]. They are spending “a school-time of contemplation,” as in this world they endured “a discipline of service.” [quoting Bl. John Henry Cardinal Newman; p. 65]. Is the life of the soul in the Intermediate State a conscious life? Having, as I trust, established the fact of consciousness in the future life, we want to know what are its activities. With what is it occupied? How is it limited? What are the occupations of the life beyond the grave? With what are souls busy in the unseen world? Does the soul in Paradise remember the past? How much do they know of our present life and needs? Are all the events of the world’s history and of our individual experience known to them? Do the saints in Paradise pray? Do they pray for us? And are their prayers effectual for our good? The saints departed pray for us, but can we ask them for their prayers? Can we in any sense pray to them ? May we pray for those who are gone, or are they beyond the need and the reach of our prayers? 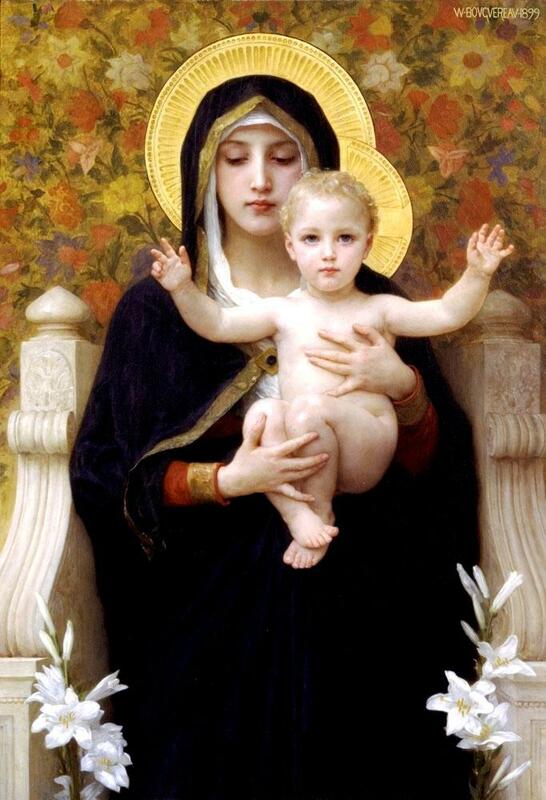 What is accomplished by such prayers, and for whom may we offer them? One way of expressing the thesis presented here is this: if one were to design an ideal spiritual-philosophical system for Americans and Europeans, I believe it would contain everything that traditional Christianity has, except for some problematic and potentially dispensable doctrinal elements (e.g., the idea that religious authority can replace personal free inquiry in religious matters). One may participate in the psychological experience of Christianity, in my personal opinion, while at the same time reserving judgment on certain specific doctrines of this kind. Doctrine can never be perfect, because ultimate realities cannot be expressed in words; any attempt to do so must inevitably produce contradiction. Or to simply look at the matter historically, the Christian authorities were wrong about Galileo, and it is certain that some doctrines of today will follow the route of the earth-centered universe. But such limitations are no cause to ‘throw the baby out with the bathwater’. The Christian tradition already exists. It is the product of centuries of continual refinement, a consummate work, polished and refined by the wise, loving, and inspired hands of countless individuals – each potentially the image of God, but in any case a human being with angelic abilities and aspirations, unimaginable creative potential, and loving instincts Moreover, this tradition is an organic cultural whole, which operates according to principles yet unknown to science. The suggestion that one might begin from scratch, constructing a new, personal religion, spirituality, or psychological system of equal or comparable quality, by selectively borrowing pieces here and there is unlikely at best. Such a view is hubris of a very high order, and elevates to personal godhood that meager sliver of consciousness denoted by the word ‘ego’. One may as well try to equal Beethoven in writing a symphony, or Raphael in painting. Although I am a Christian myself, for this article I wear my hat as psychologist. My interest in that capacity is to assist others, as best I can, to achieve psychological integrity and self-actualization. Nothing asserted is contrary to reason. To a significant extent I follow the theories of Carl Jung here (but disagree with Jung on several important points, and would hesitate to call myself a ‘Jungian’). More fundamentally, I follow the basic trend of intelligently-based rejection of radical empiricism that began with the Romantic movement and is associated, for example, with writers like Coleridge and Wordsworth. The leading principle of the Romantic argument – which has tragically been lost in the 20th and 21st centuries (yet are more urgently important now than ever) – is that Enlightenment rationalism allows no place for the experience of the sublime, or those things which give deepest meaning to our lives. While written from a Roman Catholic perspective, the points below apply with similar force to other liturgical Christian denominations, such as the Anglican, Orthodox, and Eastern Catholic Churches. Many of the same arguments might also apply to traditional Judaism. This, then, is sufficient introduction. What follows is a brief listing of specific points, organized around the categories of (1) Psychology, Anthropology and Ethics; (2) Cultus; and (3) Metaphysics. Christianity is an advanced ethical system that promotes the abandonment of personal egoism. The pronounced emphasis in Christianity on acts of charity follows from and supports the abandonment of egoism. In the West, Christian saints and charitable institutions set the standard for egolessness. The abandonment of egoism, or humility, as it is technically known, also manifests itself in a surrender to God’s will. Here we encounter a constellation of concepts – Providence, Grace, the Logos, etc. – associated with an orderly plan for all Creation, and man’s role therein. These all point to the potential attainment of a state of harmony between thought, action, and Nature. While Christianity is often criticized as being dualistic (e.g., denigrating the natural world, and tolerating , or even supporting its exploitation), true Christianity aims for a condition of non-duality. Sin, therefore, is a useful concept, because it denotes a range of important related phenomena, for which no other term is available. We could as easily name it “what traditional religions call sin”, but that would be a bit awkward. Various associations to guilt, punishment, penance, etc., or the idea that “sin” may be defined unconditionally by an ecclesiastic authority we may exclude from our operational definition. This thing, “sin”, then, exists, and is to our detriment. Unless one is courageous and honest enough to accept ones capacity for “sin” in some sense, it is difficult to see how one will find happiness, achieve personality integration, or improve ethically. Salvation. It is similarly apparent to the honest observer that one exists in a state of need and deprivation. Most of us live day to day in various degrees (often severe) of unhappiness and lack of fulfillment. (Recall Thoreau’s remark: “The mass of men lead lives of quiet desperation.”) All too infrequently, we live in states of anxiety, depression, aimlessness, confusion, wasted energy, etc. For this reason, each person, then, instinctively seeks what we may call psychological salvation. 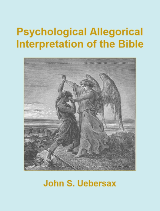 Christianity is not necessarily the only theoretical means of achieving psychological salvation; but it is an established means, tested by time, designed for this purpose, and especially adapted to the personality structure of Westerners. It would be difficult to demonstrate that any other means is more effective. Many psychologists speak of a “self-actualizing” principle in the human psyche: a force, drive, principle, or telos which directs one to levels of greater integration, completion and happiness. For Christians, this self-actualizing principle can be understood as an inner Christ. We may call it by other names, but that does not change the significance of this salvific principle. Inasmuch as this principle is present in all people, it is reasonable to think of there being a universal Archetype – an original principle of which all individual instances are images. This Archetype would correspond to Jesus Christ as a cosmic principle. However, it must be admitted that this latter part is more speculative, and more a matter of personal faith and intuition. The point to be made here is that modern psychology affirms the existence of an individual self-actualizing principle, and this principle is both acknowledged by and central to Christianity. The principle of forgiveness is central to Christian ethics. The earnest Christian affirms, “as I forgive those who trespass against me” with each recitation of the Lord’s Prayer. The Apostle’s Creed also affirms as a basic Christian belief “the forgiveness of sins.” Christ died, Christians are taught, for the forgiveness of sins. Nearly his last words on the cross were, “Father, forgive them.” St. Paul, who became one of the greatest Apostles, was previously a great sinner — as though this aspect of his life was meant to engrain in our minds the availability of forgiveness. If one probes deeply into human nature, one may observe that issues of guilt and forgiveness are of immense concern. Almost all of our difficulties, personal and social, relate, in some way or another, to an inability or failure to forgive. Yet there is never anything gained by not forgiving. Holding onto anger and resentment is a deep-seated and pervasive flaw in human character. In no other religion is an emphasis on forgiveness so pronounced. Christianity might well be called a religion of forgiveness. That this is an ideal many find themselves unable to live up to completely is incidental for our purposes. What matters is that it is an ideal. A central tenet of Christianity is that the human being is made in God’s image. This has profound implications for how we view ourselves and other people. The eminent psychologist Carl Jung once wrote that, if one of his patients reported that he or she had returned to participation in the Catholic Church, he (Jung) considered that patient cured, or in any case advanced beyond the point that psychotherapy would be of further use. By this he meant that within the human psyche are archetypal principles and forces that are largely beyond our ability to scientifically understand, but are effectively dealt with by religion. Religion, properly practiced, in Jung’s view, is a primary means by which our culture has evolved for grappling with these archetypes, and achieving integration of the personality. This brings us to the important subject of cultus, which we may define here as all the non-doctrinal practices and traditions of Christianity. Opponents of religion and Christianity typically level their accusations against specific Christian doctrines. This mistakenly equate Christianity with doctrine. But much of Christianity’s value comes from its cultus. This cultus is the result of a millennia-long process of cumulative development and improvement. Just as our material culture – how to mix cement or build bridges – has improved through the centuries inexorably, regardless of regimes or wars, the culture of Christianity, its cultus, has been gradually improved and refined. Any time an innovation in cultus emerges, it is compared with the present counterpart and the better chosen. A successful innovation introduced one place can be immediately imitated elsewhere. So Christianity has grown gradually to satisfy the aesthetic, intellectual, emotional and spiritual needs of its flock. When a process like this continues for a long time it produces considerable refinement. Christian cultus continually improves to accommodate the deepest needs and propensities of the human psyche. Three important divisions of Christian cultus are Art, Literature, and Practices. Fine art. Christianity has inspired many of the finest works of art that Western culture has produced, including paintings, sculptures, illuminated manuscripts, stained glass windows, and so on. Music. Similarly, Christianity has inspired great productions of music from composers such as Bach, Handel, Vivaldi, Schubert, Vaughan-Williams, and innumerable others. This superlative music evokes feelings and intuitions of the highest order, which no words adequately describe, although terms like Joy, Beauty, Wonder, and Mystery are related to it. But who has ever composed an Atheist Oratorio or a Skeptic’s Symphony? Architecture. What has been said above can also be said of the magnificent churches of Christianity, the basilicas and, especially, the Gothic cathedrals of Europe. To enter one of these buildings is to enter the realm of the sublime – or, as some would have it, heaven itself. Scripture. Even were it not religious, the Bible would command our utmost attention as an unsurpassed work of literature and psychology. Every aspect, problem, difficulty and puzzle of human life is somewhere addressed therein. It has grown organically, reflecting the judgment of erudite and lofty-minded collators and translators. It passes to us a gem of human wisdom and insight. I do not believe the Bible is literally true in every detail. In fact, I find such an assertion contrary both to reason and Christian teaching itself! But I do consider the Bible as something sacred, numinous – as exemplifying or manifesting a reality higher than this material one. Whatever you seek from ancient lore, from mysterious writings of great import, however you honor that sacred human urge – seek it first in the Bible and you will not be disappointed. The Bible is your book. Approach it as if it were written for you alone. Patristic literature. Along with the Bible, we also possess an immense literature by the so-called Fathers (and Mothers) of the Church, both West and East. Luminaries in this constellation of geniuses include Origen of Alexandria, St. Augustine of Hippo, the Cappadocian Fathers (St. Basil, St. Gregory of Nyssa, St. Gregory of Nazianzus), St. John Chrysostom, St. Ambrose of Milan, and St. Maximus the Confessor, among others. These great authors have produced profoundly beautiful and deeply insightful works. Nobody who reads them is disappointed. No modern writer today’s approach them degree of knowledge, rationality, and skill. One might ask: if these writers are so profound, why are they not better known? The answer is largely that, in many cases, it has only been recently that their works have appeared in modern languages. Even the works of St. Augustine have not yet been fully translated. Doctors of the Church. Another category of traditional Christian writers is that of the Church Doctors. Examples include St. Thomas Aquinas, St. Teresa of Avila, St. John of the Cross, St. Catherine of Siena, and St. Francis of Sales. Again, these writers show remarkable humanism and insight into psychology. It is most unfortunate that their works, sources of deep insight and inspiration, are neglected solely because they are Christian or Roman Catholic. Christian mysticism. The Christian contemplative and mystical tradition is a living one. Today there are still many monastic centers, carrying on a tradition of mystical practices that originated in ancient times – perhaps even before Christianity. The works of, say, St. John Ruysbroeck, command our attention if for no other reason than their sheer beauty. Asceticism. Many Westerners today, and even many psychologists, recognize the benefits of practices like mindfulness meditation and the watching and analyzing of thoughts. There is no doubt that these practices have evolved to a very high degree in Eastern traditions such as Buddhism. Yet no less impressive is the ascetical psychological tradition of the West, found in Catholic and Orthodox Christianity. The Philokalia is an outstanding example of this tradition. The Western ascetical tradition is in no way inferior to the Eastern tradition, yet is better suited to the culture, moirés, and temperament of Americans and Europeans. The Mass. Even were it viewed only as a form of ritual art, the Mass’s value would be more than sufficiently demonstrated. Cross-cultural evidence reveals a universal human interest in ritual. Ritual appears to satisfy needs that cannot be met any other way. Ritual is a language of the unconscious, and, as such, needs no rational defense. Many rituals, the Mass included, are connected with personal transformation. Because Carl Jung’s essay, ‘Transformation Symbolism in the Mass’ (Collected Works, Vol. 11, Psychology and Religion: West and East, 1975, pp 201-98) has treated of this subject admirably well, we need say no more here in this regard. Other rituals. The ancient rituals, rites and ceremonies associated with special occasions – baptisms, marriages, the Easter and Christmas seasons, and so on – must also be mentioned. It is difficult to convey the aesthetic and deeply satisfying quality of these to any who have not seen them first-hand. They are a living connection with our ancient past. In the tradition of Greek pagan religion, one sometimes encounters the idea of theurgy – or ritual practices aimed to promote spiritual growth, in connection with various gods or goddesses. Some people today find such ancient pagan religions attractive for this very reason. Yet within Christianity there is the same sort of thing – namely the liturgies, rituals, and sacramental practices – developed to a much higher degree. But in the case of Christianity, this is a living tradition, not one that modern people have tried to reconstruct based on scanty past evidence and conjecture. Prayer. What good person has never felt the deep and spontaneous urge to pray for another, whether it be a relative, friend or the victim of unfortunate circumstance? The urge to pray is so universal that we can little imagine it not having decidedly positive effect – even if only in the mind of the one who prays. If we are to pray, if we are pray-ers by disposition, may we not conceive of a technology of prayer? Should prayer be the only aspect of human life in which tradition and the cumulative experience of others is be of no benefit? Christianity teaches us how to pray. Moreover, it contains a rich store of formulas and prayers suitable for every circumstance in life. Christian prayer is supported by traditional practices. Consider, for example, the folding of hands by a Christian in devout prayer. In the terminology of yoga, this is called a mudra – a ritual position of the hands, thought to have psychological or spiritual value. It is good to study yoga, with its various mudras and asanas; yet one should not, in the process, neglect the store of comparable postures and actions in the Christian tradition – the kneeling, the crossing of oneself, the bowing of the head, the raising of hands in characteristic ways. The ritual positions and actions of a priest saying Mass are exceptionally interesting in this regard, yet are typically taken for granted. Veneration of saints. What is remarkable is not so much that there are saints, but that there are so many. Each saint is the expression of some virtue or human excellence of which the human being is capable. Each saint, it may be said, corresponds to some archetype of the individual soul. Each constitutes an ideal whose example we are naturally inclined to imitate. By studying the lives of the saints, we learn about our own deepest aspirations and potentialities. The Holy Trinity. To some, the doctrine of the Holy Trinity may seem a strange and arbitrary one. But, in fact, the doctrine partly derives from the speculation and theories of pre-Christian, Platonic philosophers. The Trinity solves certain meaningful theological and metaphysical problems. Divine Mother. Christianity also makes ample room for and pays due homage to a Divine Feminine principle. Admittedly, the written doctrine on this point is somewhat unclear and perhaps even a little contradictory. But, to return briefly to the idea of cultus, clearly at that level considerable attention is paid to the Divine Feminine, and this promotes psychological integration. Angels. This subject is a broad one, but one aspect of particular interest is the idea of a guardian angel. This Christian concept corresponds to very ancient notions of a companion spirit associated with the individual person. I hope to write more on this at another time; for now let it suffice simply to suggest a possible connection between this concept and a Higher Self. 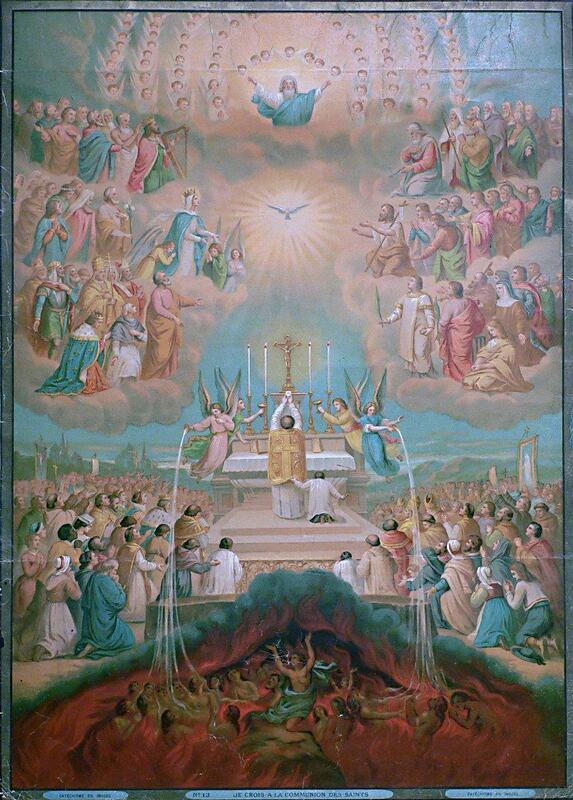 Communion of Saints. One of the most extraordinary innovations of Christianity is the concept of a communion of saints – a spiritual community of Christians, both living and dead, into a kind of super-personal organism or institution. This makes a lot of sense. If our souls are eternal, and if we may, as many suppose, communicate and help each other at a spiritual level, then would it not be in our interests to form some kind of spiritual organization for mutual benefit and to effect God’s work together? Look at the challenges of the world today, the great social needs, the injustice, the terrible deprivation of so many. If you are reading this, it presupposes that you are the kind of person who is moved to concern and action by such things. Can you solve them by yourself? Perhaps you have tried, and, if so, likely have not gotten very far. Would it not make sense to at least explore the possibility of working within a spiritual communion of similarly inclined souls? If God wants these problems solved, would it not make sense that He would employ such a means as this? In the interests of the reader, this list has been kept short and minimal. Many more items could be included and elaborated on at length. Let these suffice, however, to supply an honest view of how one Christian views his faith. Hopefully even the most inveterate skeptic will discern that there is a much firmer foundation here than mere superstition, or failure to exercise disciplined reasoning – the two objections raised most commonly today against Christianity. Ignatius was passionately fond of reading worldly books of fiction and tales of knight-errantry. When he felt he was getting better, he asked for some of these books to pass the time. But no book of that sort could be found in the house; instead they gave him a life of Christ and a collection of the lives of saints written in Spanish. By constantly reading these books he began to be attracted to what he found narrated there. Sometimes in the midst of his reading he would reflect on what he had read. Yet at other times he would dwell on many of the things which he had been accustomed to dwell on previously. But at this point our Lord came to his assistance, insuring that these thoughts were followed by others which arose from his current reading. While reading the life of Christ our Lord or the lives of the saints, he would reflect and reason with himself: “What if I should do what Saint Francis or Saint Dominic did?” In this way he let his mind dwell on many thoughts; they lasted a while until other things took their place. Then those vain and worldly images would come into his mind and remain a long time. This sequence of thoughts persisted with him for a long time. But there was a difference. When Ignatius reflected on worldly thoughts, he felt intense pleasure; but when he gave them up out of weariness, he felt dry and depressed. Yet when he thought of living the rigorous sort of life he knew the saints had lived, he not only experienced pleasure when he actually thought about it, but even after he dismissed these thoughts, he still experienced great joy. Yet he did not pay attention to this, nor did he appreciate it until one day, in a moment of insight, he began to marvel at the difference. Then he understood his experience: thoughts of one kind left him sad, the others full of joy. And this was the first time he applied a process of reasoning to his religious experience. Later on, when he began to formulate his spiritual exercises, he used this experience as an illustration to explain the doctrine he taught his disciples on the discernment of spirits. If you ask how such things can occur, seek the answer in God’s grace, not in doctrine; in the longing of the will, not in the understanding; in the sighs of prayer, not in research; seek the bridegroom not the teacher; God and not man; darkness not daylight; and look not to the light but rather to the raging fire that carries the soul to God with intense fervour and glowing love. The fire is God, and the furnace is in Jerusalem, fired by Christ in the ardour of his loving passion. Only he understood this who said: My soul chose hanging and my bones death. Anyone who cherishes this kind of death can see God, for it is certainly true that: No man can look upon me and live. Summary: One can view St Thérèse de Lisieux as a gnostic — and, in a manner of speaking, an ‘alchemist’. A true alchemist seeks not gold, but happiness, and love is the key to true happiness. Today the Roman Catholic Church is privileged to commemorate the life and example of St. Thérèse de Lisieux. God has providentially supplied for our benefit many saints. Each expresses and manifests certain of God’s attributes. As our soul contains the image of God, the imago Dei, we possess latently those divine virtues and potentialities manifest by the saints. Each saint reveals some dimension of our own soul. Studying their lives and writings assists us in the gradual restoration of the imago Dei, in our self-realization. In few cases is the saint’s role of exemplar more evident than with St. Therese, the “Little Flower” and the saint of love. Her saintliness is obvious, but why do we call St. Thérèse a gnostic? Would even she herself not have denied this? That St. Therese is to be counted high among gnostic Christians is readily seen. It is true, she professed simplicity and adopted no pretense of great learning. Yet this same humble soul is reckoned, by virtue of her insightful writings and exemplary life, as a Doctor of the Roman Catholic Church, sharing this title with the likes of Augustine, Ambrose, and Aquinas. In in her grasp of Scripture, her ability to sense the deep meanings and subtle nuances of passages, great wisdom is evident. Most of all the illuminated nature of her thinking is demonstrated by its habitual content: Love — its reality, immanence, and greatness. If she is not readily recognized as a gnostic that is only because we ourselves so easily fall from the state of wisdom, and begin to imagine there is some greater thing than Love. We are too accustomed to seeing simplicity and wisdom as opposites, when in fact they go together. The Lord said, I thank thee, O Father, Lord of heaven and earth, because thou hast hid these things from the wise and prudent, and hast revealed them unto babes (Matt 11:25). And as St Paul wrote: the foolishness of God is wiser than men; and the weakness of God is stronger than men (1 Cor 1:25). We know that, as Socrates taught, true wisdom comes with recognition of ones ignorance. Thus we should not hesitate to consent to the classification of St. Therese as a gnostic. There is here, moreover, an important general point: too often those who wish to be gnostics are overly attached to scholarship, books, and the external trappings of philosophy. It must be admitted, in short, that pride often or usually accompanies an interest in gnostic matters. Many who see themselves as gnostics look consdecendingly on “non-gnostic” practitioners of religion. This was carred to extremes in some heretical gnostic sects, which claimed that only special individuals, that is, those with arcane knowledge reserved for a select few, will be saved. We may easily demonstrate the falseness of a view that equates saving gnosis with special, arcane knowledge. Suppose that great gnosis or wisdom, such as that sought by ancient gnostics, alchemists, and magi, of the sort that would give one the ability to perform miracles or accomplish anything, is indeed attainable. Suppose, further, that some master alchemist, after years of difficult labor and study, finally succeeded in creating the fabulous philosopher’s stone, which gives the possessor the ability to have or do anything wished for. What, then, would such an alchemist do? Would he turn lead into gold to gain great wealth? Perhaps; but if so, what after that? Of what use would gold alone be? Simply to have gold, unless it procures for one something better, is insufficient. One might reply that he would make gold and then buy things with the gold, expecting these things to bring enjoyment and happines. But what this means is that what the alchemist actually seeks is not the gold, but happiness. At best, the gold would be only instrumental in gaining happiness. But what brings happiness? Plainly, nothing for a human being brings so much happiness as love. It follows that the perfect alchemist would seek perfect love. Gold or wealth might possibly be helpful for this, but, so too it might be a hindrance. For all we know the perfectly attained alchemist might choose the life of a beggar! As novel as this idea might seem, it is not new. The same principle was expressed in a dazzling spiritual treatise by the Islamic cleric and philospher Al Ghazali in the 11th century, called, fittingly, The Alchemy of Happiness. Al Ghazali keenly discerned that the idea of turning lead into gold is merely a metaphor for the far more important process of transforming our base personality into something pure and beautiful. This form of alchemy seeks not gold or material wealth, but virtue and love. It is the gaining of virtue that is is the topic of this masterful written work of Al Ghazali. Considering all this, we may say confidently that St. Therese was a great alchemist and a great gnostic. She found the secret, the formula for happiness — and so completely that she was able to dispense with showy displays of erudition and false knowledge. 1….During her life Thérèse discovered “new lights, hidden and mysterious meanings” (Ms A, 83v) and received from the divine Teacher that “science of love” which she then expressed with particular originality in her writings (cf. Ms B, 1r). This science is the luminous expression of her knowledge of the mystery of the kingdom and of her personal experience of grace. It can be considered a special charism of Gospel wisdom which Thérèse, like other saints and teachers of faith, attained in prayer (cf. Ms C, 36r·)…. 7. From careful study of the writings of St Thérèse of the Child Jesus and from the resonance they have had in the Church, salient aspects can be noted of her “eminent doctrine”, which is the fundamental element for conferring the title of Doctor of the Church. Thérèse offers a mature synthesis of Christian spirituality: she combines theology and the spiritual life; she expresses herself with strength and authority, with a great ability to persuade and communicate, as is shown by the reception and dissemination of her message among the People of God. The last point is important: Thérèse’s pursuit of gnosis was not motivated by selfish aims, as is so often true with those who merely call themselves “gnostics”, but by a great love and intense desire to share the good news of the mystery of God’s salvation with others. Such compassionate yearning for others to know the meaning of God’s love is deep, innate, and immensely powerful. This sense of compassion is a powerful and perhaps essential motive force promoting the attainment of true gnosis. Thérèse’s teaching expresses with coherence and harmonious unity the dogmas of the Christian faith as a doctrine of truth and an experience of life. In this regard it should not be forgotten that the understanding of the deposit of faith transmitted by the Apostles, as the Second Vatican Council teaches, makes progress in the Church with the help of the Holy Spirit: “There is growth in insight into the realities and words that are passed on… through the contemplation and study of believers who ponder these things in their hearts (cf. Lk 2:19 and 51). It comes from the intimate sense of spiritual realities which they experience. Again, a broader point here is to remind those of us who who pursue scholarship, research, and philosophy that these constitute neither the only nor, arguably, the most important path to wisdom or gnosis. The gnostic should never feel superior to or denigrate the accomplishments of a devout and pure “simple soul”, whose attainments in love — which is the ultimate standard of gnosis — may far exceed our own. In seeking gnosis let us never overvalue our books, translations, history, and metaphysical speculations. Such things constitute philosophical scholarship, which is potentially important, but is not to be confused with philosophy itself, which, as its very name suggests, is an activity of love. How happy, how lucky are those servants whom the master finds awake when he comes! How blessed it is to be wakeful and watching for God, who created all things, who fills them with being and exceeds all of them in greatness! I am a lowly creature but I am still his servant, and I hope that he will choose to wake me from slumber. I hope that he will set me on fire with the flame of his divine love, the flame that burns above the stars, so that I am filled with desire for his love and his fire burns always within me! I hope that I may deserve this, that my little lamp should burn all night in the temple of the Lord and shine on all who enter the house of God! Lord, I beg you in the name of Jesus Christ, your Son and my God, give me a love that cannot stumble so that my lamp can be lit but can never go out: let it burn in me and give light to others. And you, Christ, our gentle saviour, in your kindness light our lamps so that they shine for ever in your temple and lighten our darkness and dispel the shadows of the world. I beg you, my Jesus, fill my lamp with your light. By its light let me see the holiest of holy places, your own temple where you enter as the eternal High Priest of the eternal mysteries. Let me see you, watch you, desire you. Let me love you as I see you, and before you let my lamp always shine, always burn. Beloved Saviour, show yourself to us who beg a glimpse of you. Let us know you, let us love you, let us love only you, let us desire you alone, let us spend our days and nights meditating on you alone, let us always be thinking of you. Fill us with love of you, let us love you with all the love that is your right as our God. Let that love fill us and possess us, let it overwhelm our senses until we can love nothing but you, for you are eternal. Give us that love that all the waters of the sea, the earth, the sky cannot extinguish: as it is written, love that no flood can quench, no torrents drown. What is said in the Song of Songs can become true in us (at least in part) if you, our Lord Jesus Christ, give us that grace. To you be glory for ever and for ever. Amen.